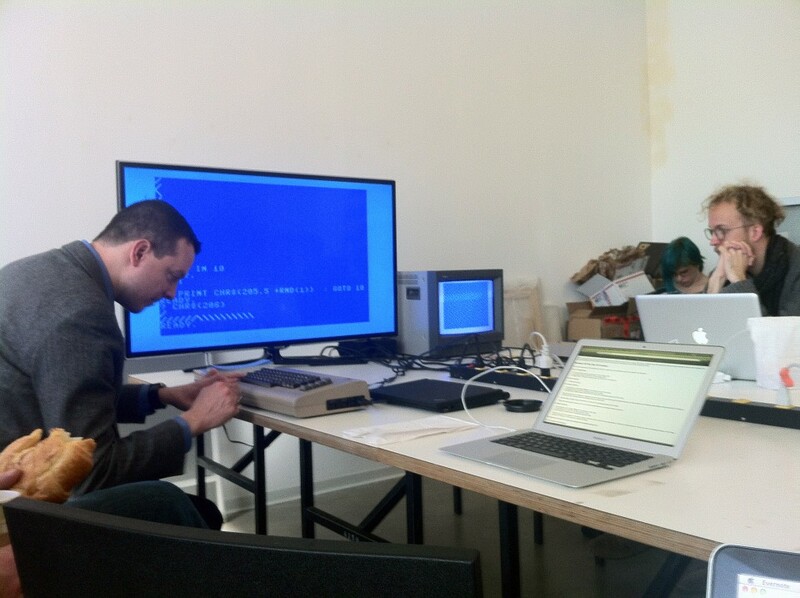 The UCLA Software Studio had a great Commodore 64 programming workshop today, hosted by MIT’s Nick Montfort and UCLA’s Casey Reas. Their book 10 PRINT CHR$(205.5+RND(1)); : GOTO 10 is available now. In addition to having a couple of real live Commodore 64’s, we used the VICE Emulator to simulate the Commodore on our laptops. This is a great way to kill a few hours, or perhaps introduce a little one to programming.